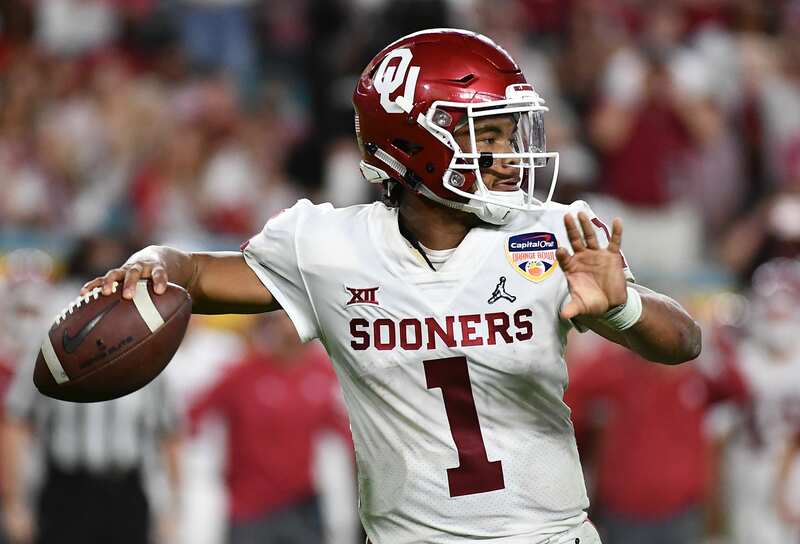 The New York Giants have begun to analyze Oklahoma quarterback Kyler Murray on a more in-depth level since the NFL Combine several weeks ago. Both head coach Pat Shurmur and Chris Mara attended the mobile passer’s Pro Day, watching him sling the ball around the field with pristine accuracy and precision. One of the more interesting aspects of this offseason has been the Giants’ approach towards breaking down the 2019 class of signal callers. It began with comments from Daniel Jones and Haskins portraying their hope to come to New York and learn behind Eli Manning. Murray’s response wasn’t as confident or professional – but with the national spotlight shining down on him and his decision to declare for the draft, what can you expect? Murray had a stellar 2018 season with the Sooners, racking up 4361 passing yards and 1001 rushing yards. He totaled 54 scores and seven interceptions in his Heisman winning campaign. His abilities are exciting and impactful, but most of all, different. At just 5’10”, Murray is on the shorter side. We’ve seen quarterbacks like Russell Wilson and Drew Brees success before at a less than adequate height, but there are ways to work around it. The 205-pound passer would be a unique fit in the Giants’ offense, as they have begun changing the ideology of their scheme. With the trading of Odell Beckham Jr. and the acquisition of Kevin Zeitler, it seems as if the team is headed towards a ground-and-pound style. Signing slot receiver Golden Tate offers Eli Manning a top-end option that has playoff experience and toughness. Short to intermediate routes seem like the future of the offense, but focusing in on the offensive line and preparing the seamless succession of Manning is the priority now. With the No. 6 overall pick in the draft, the Giants have a real shot at grabbing a player like Murray. I imagine he would sit behind Manning for a year as he develops and learns the ropes from a seasoned veteran. Entering the 2020 season with plenty of knowledge and ability, he would have a good offensive line and plenty of weapons to help him succeed. While this is hypothetical, it’s important to recognize what general manager Dave Gettleman is doing now to prepare the quarterback of the future.